Michigan’s Cheap Girls have signed with Xtra Mile Recordings (who put out the new Against Me! album, and is also home to Frank Turner, Tim Barry, etc) for the followup to 2012’s Laura Jane Grace-produced Giant Orange. 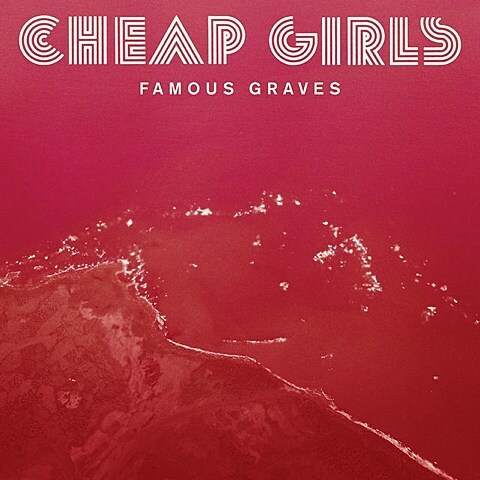 The new album, titled Famous Graves, is due out on May 13 and was produced by Rick Johnson, who did their first two records. On its first single, “Knock Me Over,” Cheap Girls are still worshipping those same ’90s alt-rock radio and power pop bands (Smoking Popes, Lemonheads, etc), and their songwriting continues to progress as well. The song just premiered over at The A.V. Club, and you can check it out below. Cheap Girls will be doing some touring ahead of the album’s release, including a run with Against Me! and Laura Stevenson and the Cans. As we just mentioned, both Cheap Girls and Against Me! will play our official BV SXSW showcase with Touche Amore, The Front Bottoms, and more. In April, they’ll do a short run with The Hold Steady. No NYC dates (yet? ), but you can check out their full tour schedule below. Speaking of The Hold Steady, since we last spoke, they released another single from their upcoming album, Teeth Dreams, which is due out on March 25 via Washington Square. The new track “Spinners,” follows first single “I Hope This Whole Thing Didn’t Frighten You,” and like that one it’s another dose of their literate rock, with some studio gloss courtesy of Foo Fighters/Ghost producer Nick Raskulinecz. Watch the lyric video below.